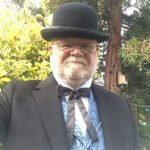 I work as a docent at the McHenry Mansion in Modesto and have already told several people about what great quality and service you provide. Item was in and out of stock. Settled for second color of garment desired. Quick shipping, well packed and great merchandise. Very authentic period outfits. Service was great and the merchandise was beautiful and high quality- made in America- i love it!! !